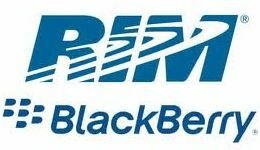 Blackberry manufacturer Research in Motion (RIM) has reported a quarterly loss, due in part to falling revenues on the back of weak smartphone shipments. The Canadian company made a net loss for the three months to 3 March of $125m (£78m), compared with a profit of $934m a year earlier. Revenues fell to $4.2bn from $5.2bn. The firm also suggested it would refocus on the corporate market rather than on individual consumers.